Mark Provitola has over 20 years of experience in enterprise software, IT systems integration, data center consolidations/relocations/migrations and data center design/engineering, implementation and commissioning. Mr. Provitola has led large consulting teams on numerous large-scale mission critical projects in partnership with AECOM, Jacobs Engineering, Accenture, Deloitte, EMC Consulting, AT&T Consulting and various OEMS. Over the past 10 years, Mr. Provitola has been focused on traditional and modular data center business development, program management and portfolio development in both the Public Sector and commercial market spaces. Mark Provitola served as a Naval Flight Officer/F-14 Radar Intercept Officer (RIO) for 10 years, accumulating 1000+ hours and over 270 aircraft carrier landings. 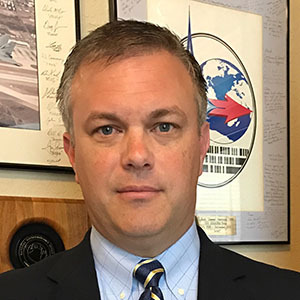 During his last assignment in the U.S. Navy, Mr. Provitola served as an Operations/Project Officer at the National Reconnaissance Office (NRO) in support of USCENTCOM and USSOCOM for mission critical requirements. Presently, Mr. Provitola is responsible for HPE World-Wide Portfolio Development of Micro/Modular Data Center Solutions.